Earlier this year Piglet discovered the Hey Duggee series on CBeebies and hasn’t looked back since. She is full of excitement as an episode starts each morning. With her joining in with the fun and laughter alongside the Squirrels. Watching intensely to see whether the Squirrels will gain a new badge. Before running to the nearest person for a Duggee hug at the end of the episode – too cute! Get set for a ninth collection filled with laughter, learning and exciting activities in the adventure club that every child will want to join! Meet Duggee, a lovable dog who is the leader of an after-school club, called the Squirrels. Under the patient guidance of Duggee, the Squirrels discover new things about the world around them and their comic adventures encourage young viewers to actively solve a problem by moving, jumping, running and skipping. There was another Royal Wedding taking place on May 19th this year. 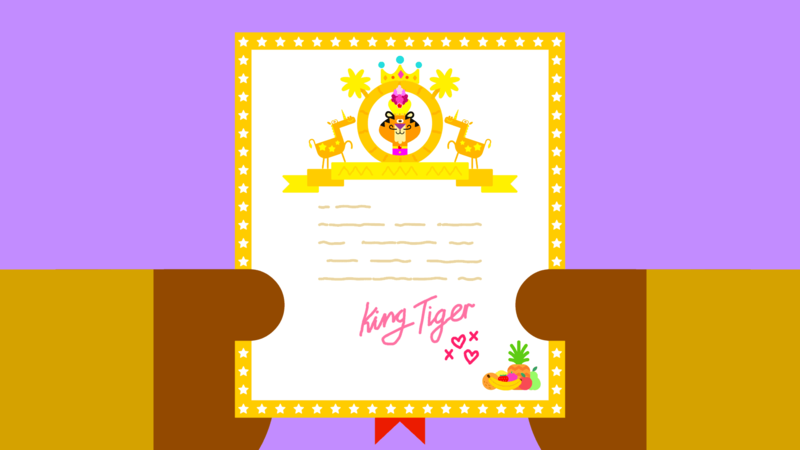 Hey Duggee character King Tiger has met his perfect partner and got married in a brand new episode, titled Hey Duggee & The Wedding Badge. The event quickly gets into full swing, but then there is a problem with the bride-to-be’s wedding dress. To the rescue Squirrels!! Hey Duggee The Wedding Badge And Other Stories // Where Can I Buy? 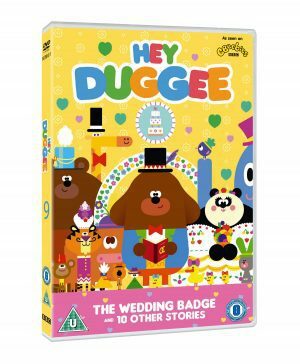 The Hey Duggee The Wedding Badge and Other Stories DVD is available to buy from Amazon and all other leading entertainment retailers. Boo Roo and Tigger Too are giving three lucky readers the chance to gain some new badges with Duggee and the Squirrels, with three copies of Hey Duggee The Wedding Badge And Other Stories DVD to giveaway.